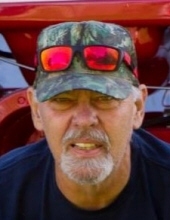 Robert Dennis “Bob” Eckhardt, age 67, Plymouth, WI, passed away peacefully on Tuesday evening (February 5, 2019) at Lawlis Hospice in Mequon. He was born in Milwaukee on December 3, 1951, son of the late Donald and Lorraine (Kissinger) Echkhardt. Bob worked in the printing trade, most recently at Universal Lithographers in Sheboygan until his retirement. On August 31, 1973, he married Sue Fatura in Plymouth. Bob was very much into history and politics. He also loved sports cars and animals (especially his dogs). He enjoyed farming, hunting, fishing, but most of all, spending time with his family. Survivors include: Wife: Sue of Plymouth; Two children: Wendy (Matt) Krueger of Plymouth and Kelly (Chris) Handrow of Kiel; Five grandchildren: Nathan, Megan and Mitchell Krueger, and Douglas and Jared Luebke; Brother-in-law: Richard (Patti) Fatura; and Beloved dog: Rufus. Bob was preceded in death by: His parents; and Father and Mother-in-law: John and Janice Fatura. Following Bob’s wishes, cremation has taken place and a celebration of his life will be held at a later date. In lieu of flowers, memorials are suggested in Bob’s name to Project Angel Hugs of Plymouth. To send flowers or a remembrance gift to the family of Robert D. Eckhardt, please visit our Tribute Store. "Email Address" would like to share the life celebration of Robert D. Eckhardt. Click on the "link" to go to share a favorite memory or leave a condolence message for the family.